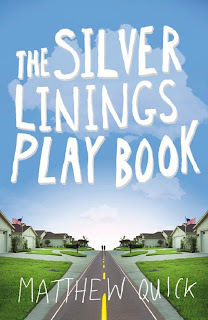 Although I have heard nothing but good things about the film, I decided that I wanted to read the book Silver Linings Playbook was based on first. I think most readers are of a similar opinion; it’s nice to read the book first because then you have your own ideas about it, rather than a film-maker's. 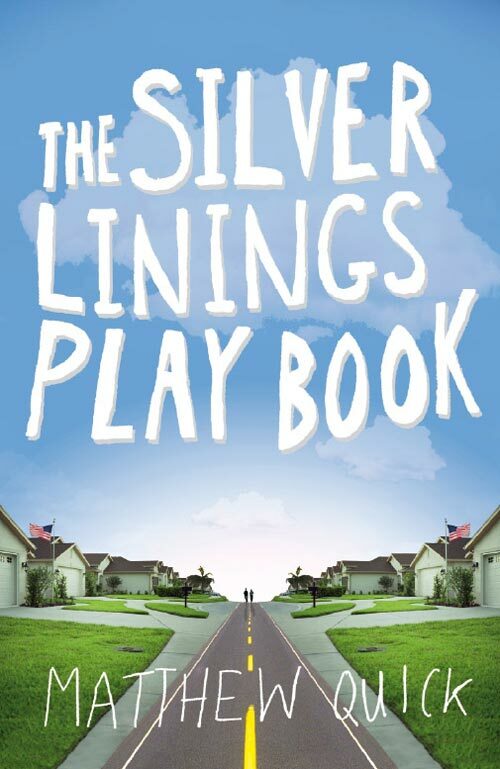 The Silver Linings Playbook opens with Pat Peoples leaving a mental institution where he has been receiving treatment following the breakdown of his marriage. Throughout the book, which is narrated by Pat, we learn that whilst he thinks he has only been in the hospital for a couple of months, a few years have actually passed. Moving back to his parents’ house in Philadelphia, Pat sets about changing his life. He spends a lot of time working out, and working on a way to make himself a better person so that ‘apart time’ from his wife, Nikki, can end, and they can reconcile. Pat also meets Tiffany, a woman who has suffered from her own mental illness, and the two of them strike up an uncomfortable friendship. I read this book in one day, and I’m never sure if this is such a good thing! It obviously means that it was so entertaining and enjoyable that I didn’t want to stop reading, but it also makes me wonder at the quality of the writing. If I take a long time to read something, it’s not necessarily because I’m not enjoying it, it’s more likely to be because the prose is a bit more challenging, and takes longer to appreciate. However, this book gets a big thumbs up from me. The first person perspective really allows you to understand what Pat is going through as he attempts to rebuild his life, but at the same time he is observant enough that the reader is able to pick up on the things that he is struggling to understand, such as why his mum no longer has his wedding photos displayed in the house. If you have read The Perks of Being a Wallflower, you will spot some similarities here, mainly due to the fact that both books deal with mental illness, and both are epistolary (Wallflower is written in the form of letters and Playbook mainly in the form of a journal). However The Silver Linings Playbook is a very adult book, dealing with a man in his thirties who is trying to adapt to life in a brand new way; rebuilding relationships with his parents and brother, and re-entering a world that has changed since he went away. Now that I’ve read the book, I’m eager to see the film. Knowing that Bradley Cooper and Jennifer Lawrence played the lead roles meant that reading the book their faces did creep in, but everything else was my own imagination. I know that the film has changed a few details, but I don’t have any problem with this; there are various reasons for this happening, and if I’ve read and enjoyed the book, I’m more than happy for a film-maker to use artistic licence as they see fit.